Show us how professional you are when you walk into the casino and play Baccarat Professional! There’re plenty of special features and settings to help you take control of the room like the winner you are! 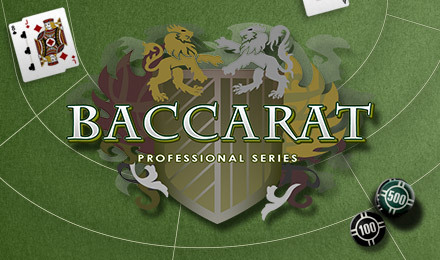 Play Baccarat Professional with us and start feeling like a true pro. You've already tried your hand at the classic and now you can start truly winning with the real deal. Pick between standard, low, and high roller, or switch it up by playing all three. Win big and go pro today!